The Nanjemoy Vol. Fire Dept. 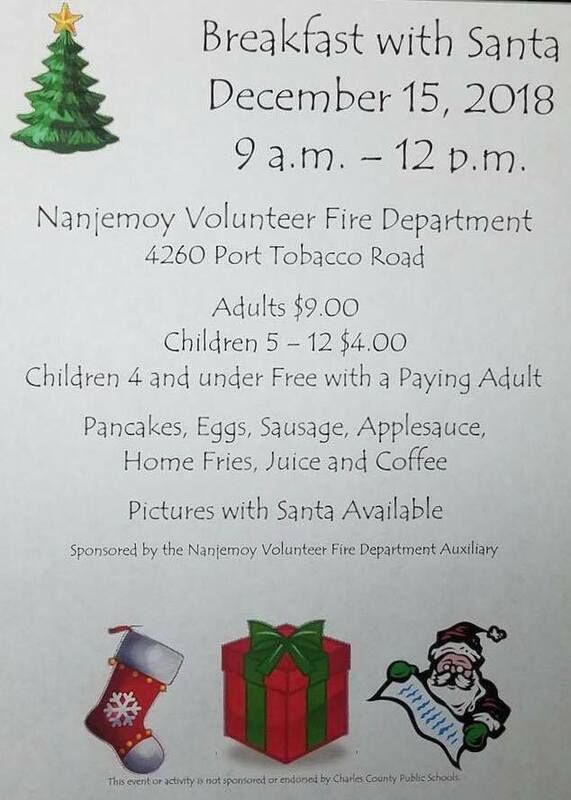 Auxiliary will be hosting Breakfast with Santa on Saturday December 15 from 9:00 am until Noon. The event will take place at the Nanjemoy Vol. Fire Dept. located at 4260 Port Tobacco Road. Children 4 and under Free with paying adult. There will also be a raffle of a Homemade blanket. Tickets are on sale now and the drawing will be during the breakfast.